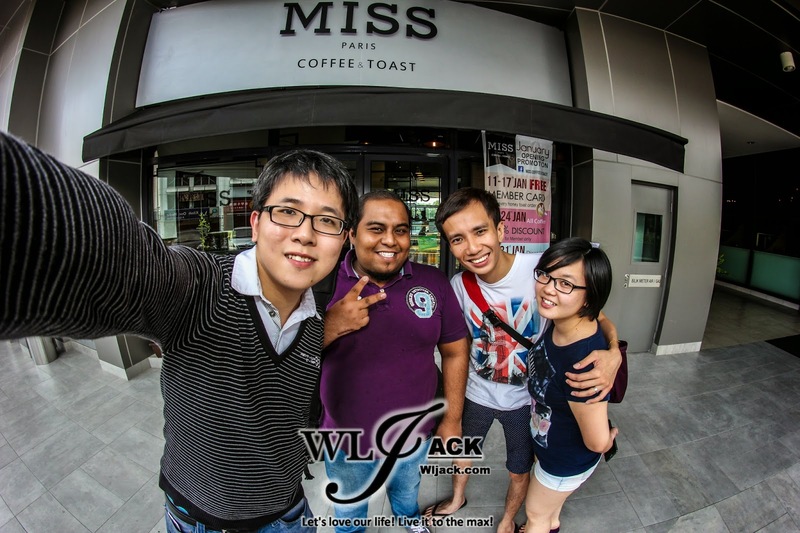 Kuala Lumpur, February 2015 – Wanna experience a touch of Paris? Or want to just indulge yourself into thick crispy toast with fruits and scoop of ice cream, tapped with honey syrup? 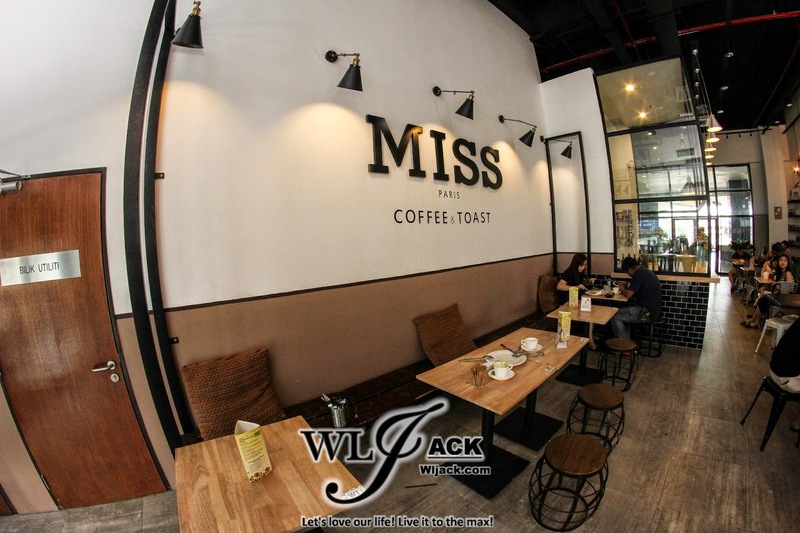 Well, here’s a recommendation as we share our food review experience at MISS Coffee & Toast @ Puchong Financial Corporate Centre. 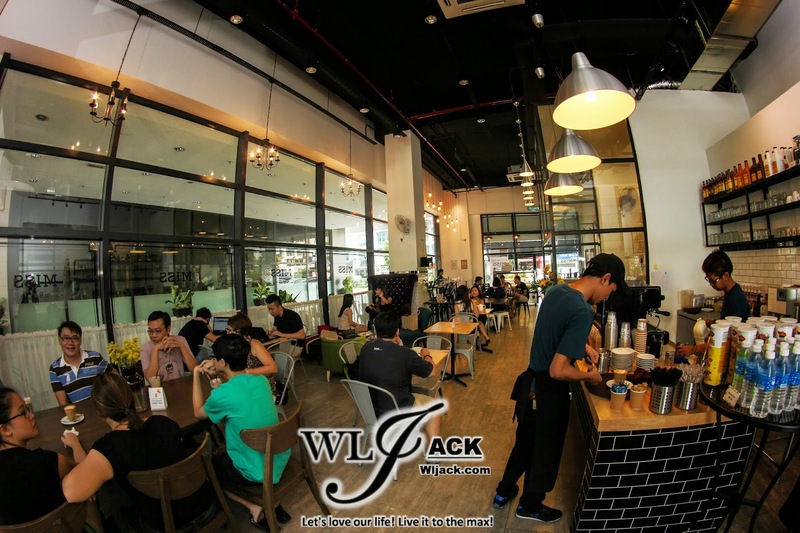 In this day and age, kaya toast and peanut toast can be commonly found in any café in Malaysia as it is one of the most well-loved food ever. 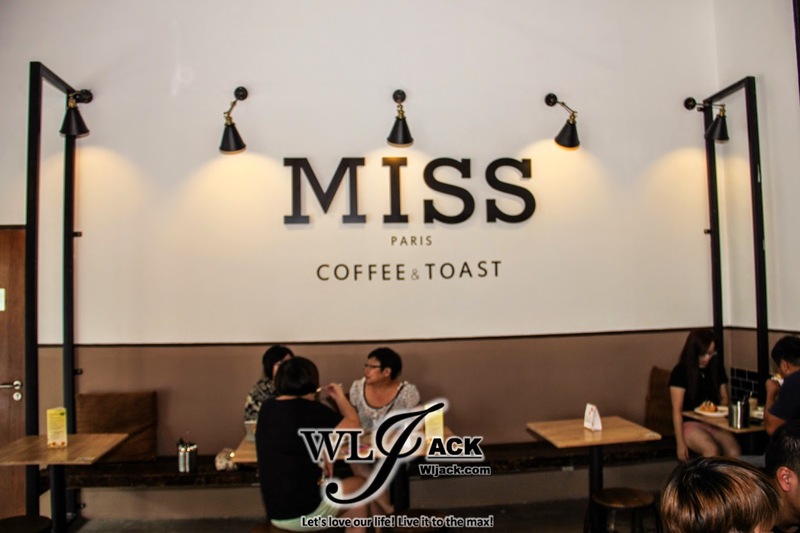 Here in MISS Coffee & Toast, they came out with a signature Honey Toasted Bread to satisfy consumers’ taste buds. 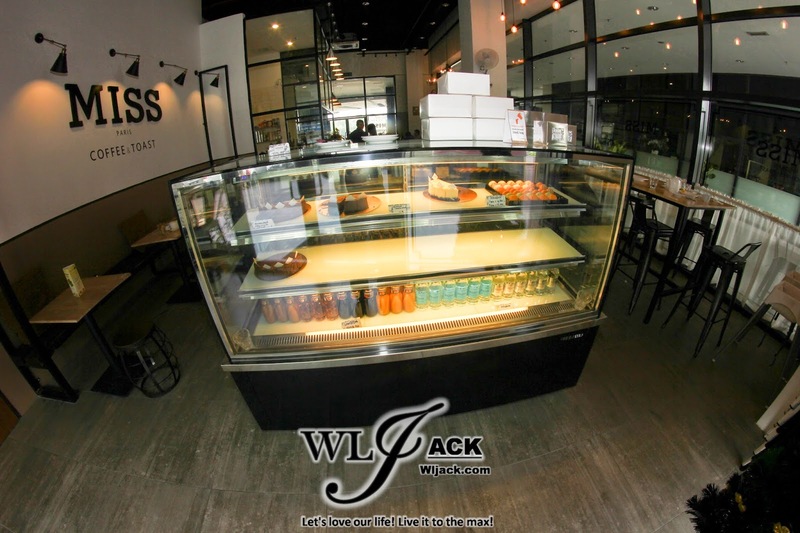 Besides serving toasts, MISS Coffee & Toast is also a modern-styled café serving healthy and luscious food as well as handcrafted coffee. The interior of the café has a vintage concept which could give the consumer a unique Paris-feel. It is a cozy place for youngsters to hang out at. 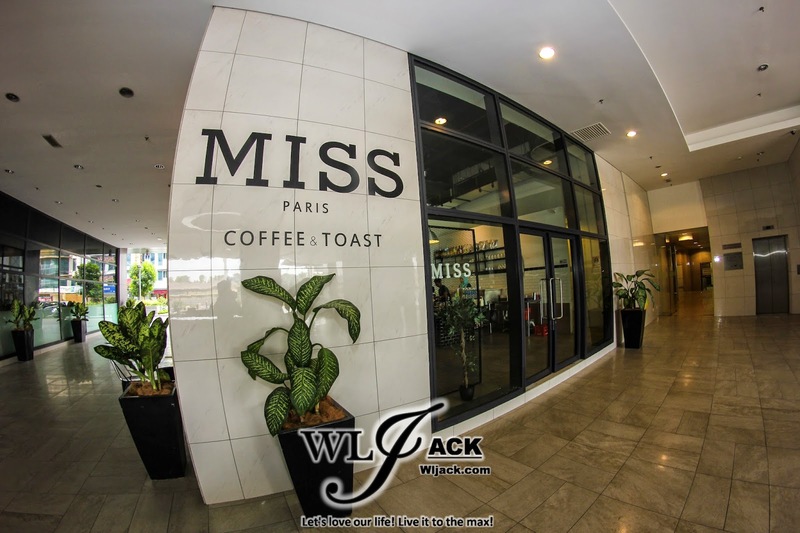 Signature sign of “MISS COFFEE & TOAST” is something you wouldn’t miss a glimpse if you walk from the inner side of Puchong Financial Corporate Centre. 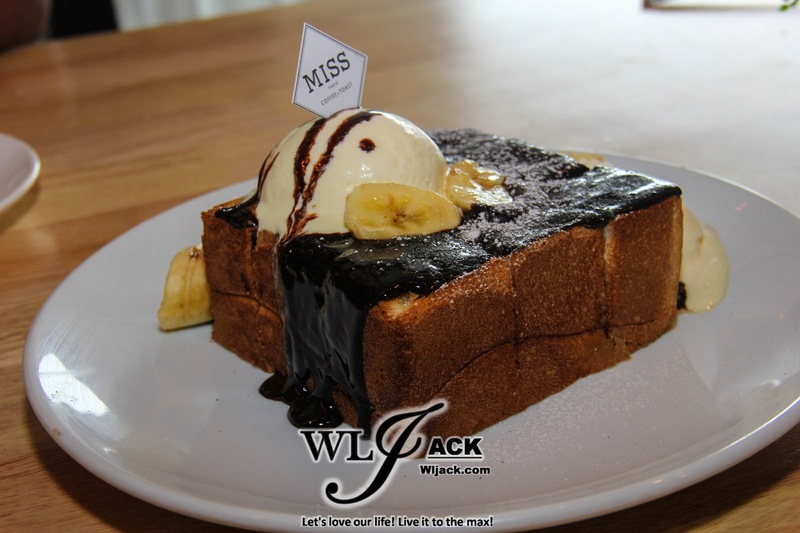 A crunchy toast coated with thick chocolate served with scoop of ice cream and slices of banana. Eat all of these together will give you a great sinful pleasure! Imagine the melts of bittersweet chocolate with smooth vanilla ice cream in your mouth! A regular toast is too much of a calories for you? No problem. There is Mini Toast which can be tidbits for you to savour on. 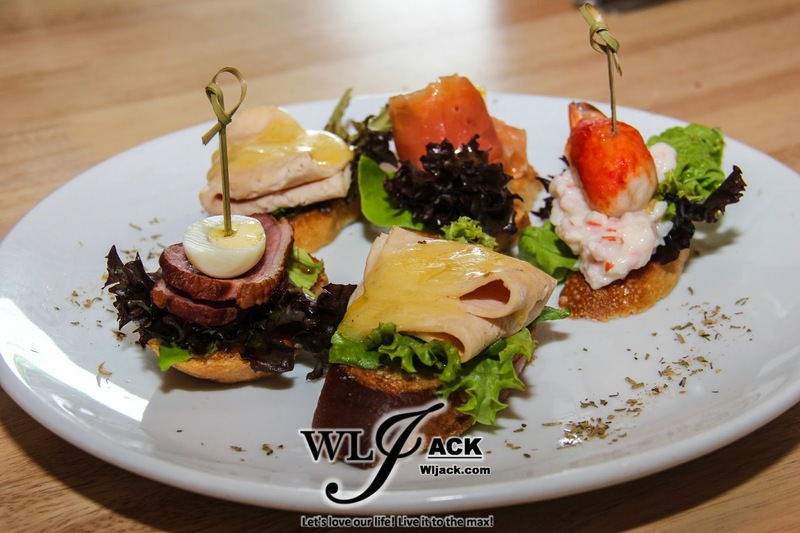 There are a few varieties of toppings on the mini toast which you can choose including: Baked Cheesy Chicken Ham with Mozarella, Shredded Crab Meat with mixed Mayonnaise, Smoked Duck with Hard-Boiled Egg and Smoked Salmon with Capers. I have tried on the mini toast with Smoked Duck and hard-boiled egg. It was a great crisp with exquisite taste. 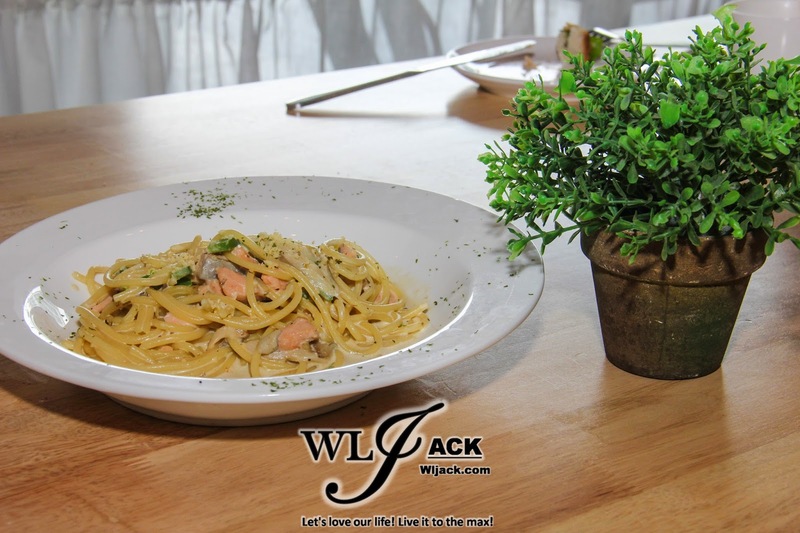 For those who are looking for heavy meal, here’s something for you, Smoked Salmon Carbonara. The pasta is great and it is really yummy when it is complemented with the creamy sauce and the tasty smoked salmon. Last but not least, try on the Classic Waffle which is consists of ice cream, maple syrup, strawberry and whipped cream topping it. It’s delightful to eat on a soft waffle with all of these pleasurable sweetness! Of course, the beverage here is nice too. 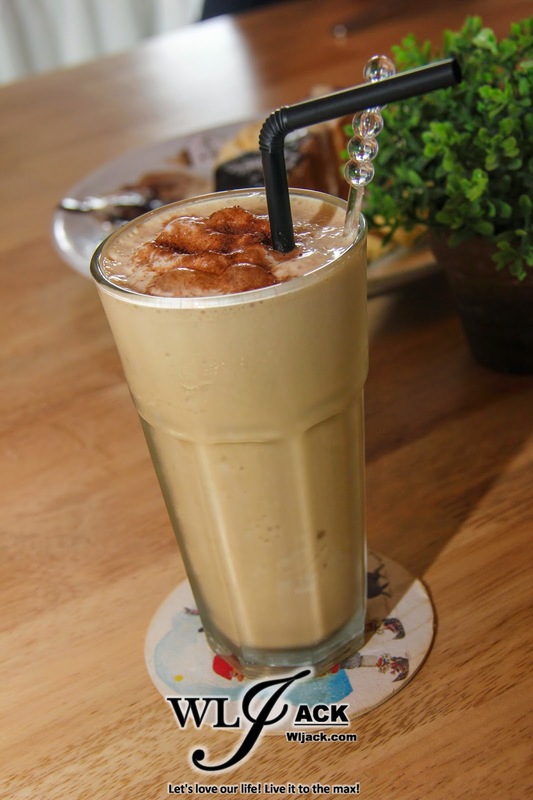 Had a glass of cooling and refreshing Blended Cappucino during the food session that day! 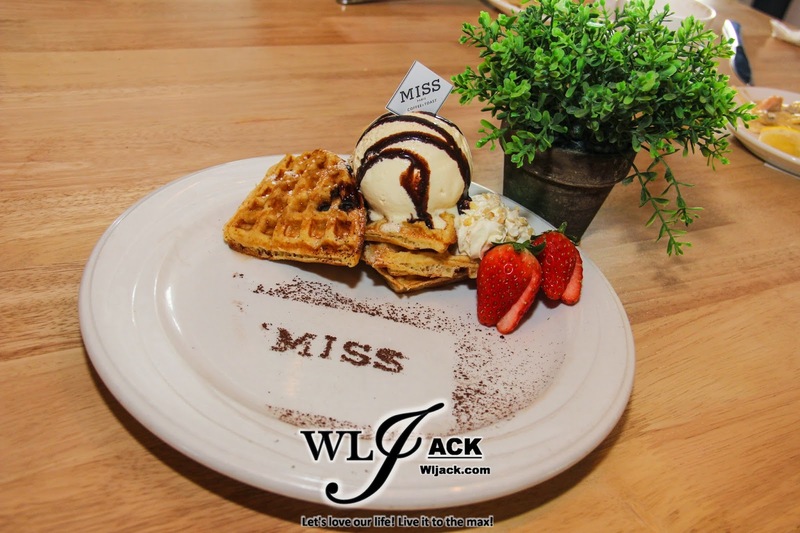 By the way, here’s another special thing which is running in MISS Coffee & Toast now. They are currently selling Love Lock for the couples/BFF. How does it work? Well, purchase a love lock @ RM 30 and you can lock your love/friendship in the café for a year. You will receive a couples/BFF certificate on the spot & will be sued to claim a “Special Honey Toast” ONE YEAR LATER with the same person, same date & same venue. It’s something you can try on with your partner and it will be a good memory for both of you. Well, it was a really good food review session. 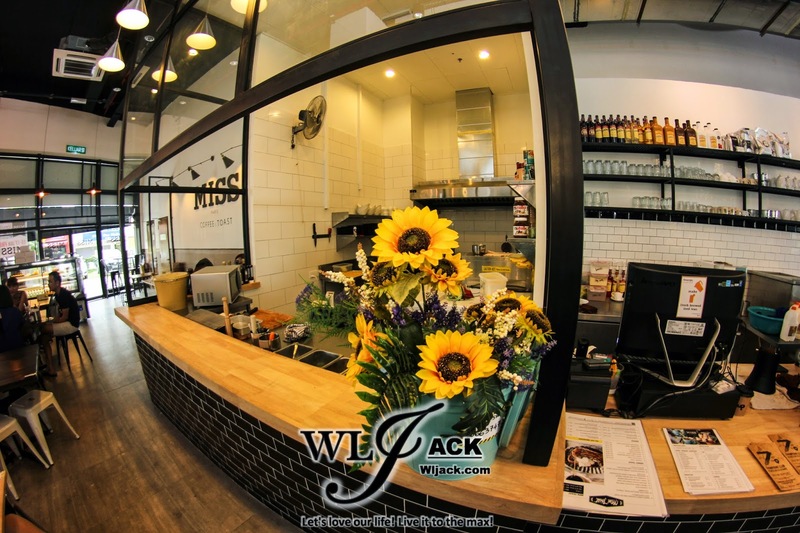 Do stay tuned to my website wljack.com for more upcoming food reviews.